Welcome to the Year of the Ox which starts on January 26, 2009! The Chinese calendar predates our calendar which is only 430 years old. 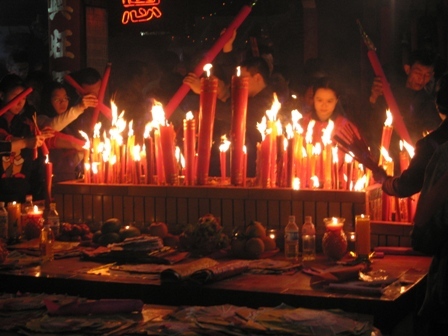 The Chinese calendar is based on a combination of lunar and solar movements. The lunar cycle is about 29.5 days. Every few years, the Calendar is adjusted and an extra month is added, similar to the leap year. This explains why the New Year falls on a different date each year. The Chinese year 4707 (2009) is known as the year of the Ox, or formally Ji Chou. It is said that Buddha asked all the animals to meet him on Chinese New Year. Twelve came and Buddha honored them by naming a year after each one, He also prophesized that individuals born under their sign would have the some of the characteristics of that animal. The Ox is the sign of prosperity (affluence) through fortitude (staying power) and hardwork. Those who are born under this sign are known to be born leaders, dependable, and capable of achieving greatness, which is why the Chinese are optimistic about 2009!